Ford fans everywhere have been in love with the new Ford Mustang GT350 and it’s easy to see why. It’s one of the best looking Mustangs ever, it’s reminiscent of the 1960’s Shelby GT350, and it has a 5.2 liter V8 that puts out 526 hp! The other best part is that it’s the most track-ready Mustang ever made with independent rear suspension, a 6-speed manual, a limited slip differential, and a “Track Apps” function on the infotainment system. If you opt for the GT350R, they will reward you with carbon fiber wheels, unique suspension tuning, and wider tires. Sweet! 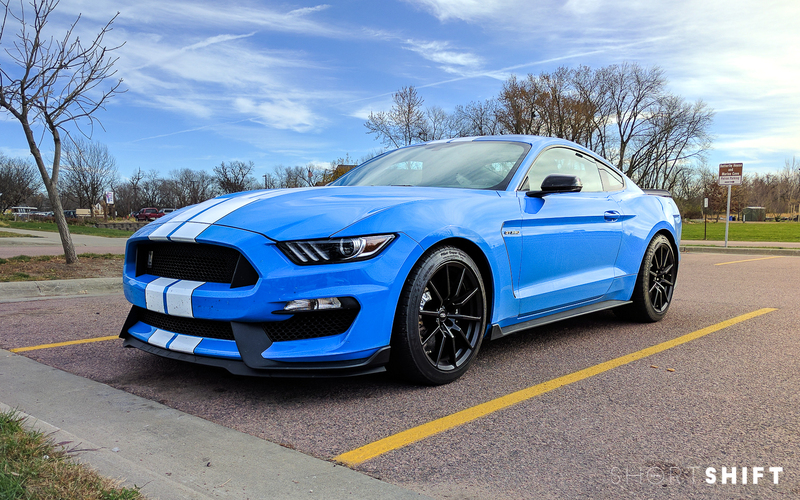 This Ford Mustang GT350 was spotted in Sioux Falls, South Dakota. And, in the theme of awesome Fords, I spotted this Ford Focus RS on the same day!